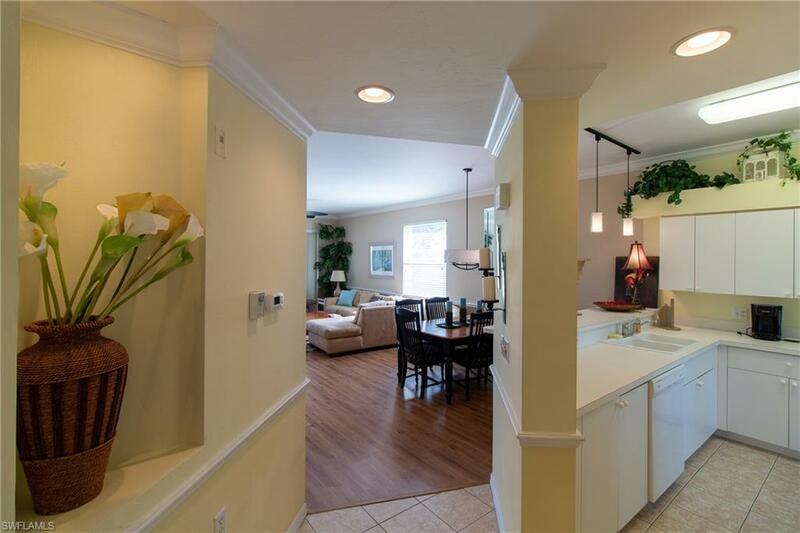 Highly desirable, Beautifully TURNKEY Colonnade 2 Bedroom, 2 full baths, DEN, Large end unit 1,408 sq.ft. with extra windows and lots of light! 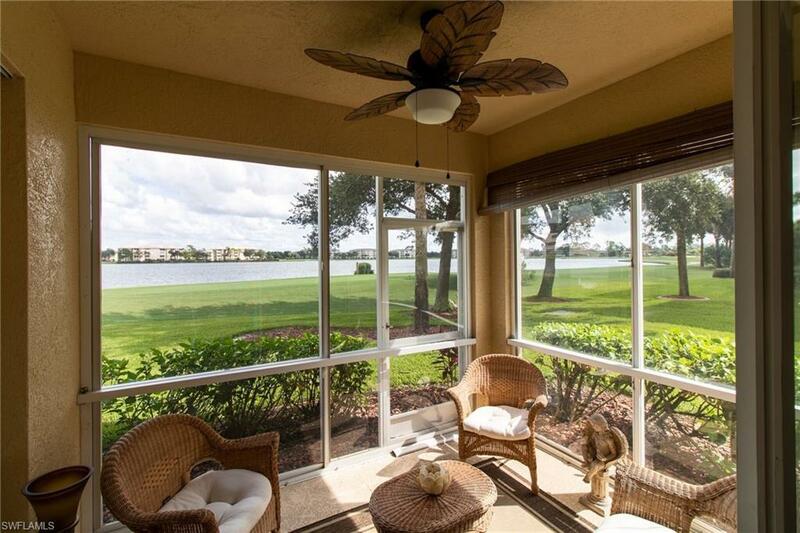 Golf and Big lake view from the enclosed lanai.Immaculate kept and updated with "new wood laminate flooring" in living, dining, as well as bedrooms and DEN. 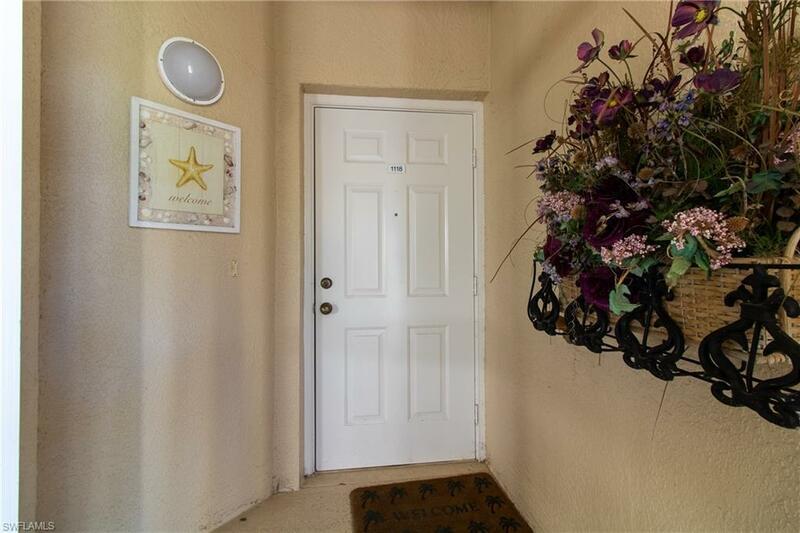 Upgrades also include New A/C, H/W heater, Maytag refrigerator, Whirlpool dishwasher, garbage disposal, Whirlpool washer, Also all new light fixtures and ceiling fans. King size Sleep Number bed in Master, Queen size in Guest, oversize queen in Murphy in Den and a queen pull out in a couch, love seat set.Your LOCATION is next to the Butterfly Palm Pool, and Fishing Pier on the Big Lake. A short walk to Clubhouse, Award-winning Heritage Palms Golf and Country Club has 2 -18 hole Championship golf courses designed by Azinger/Lewis, aqua driving range, great pro shop and several golf Pros. 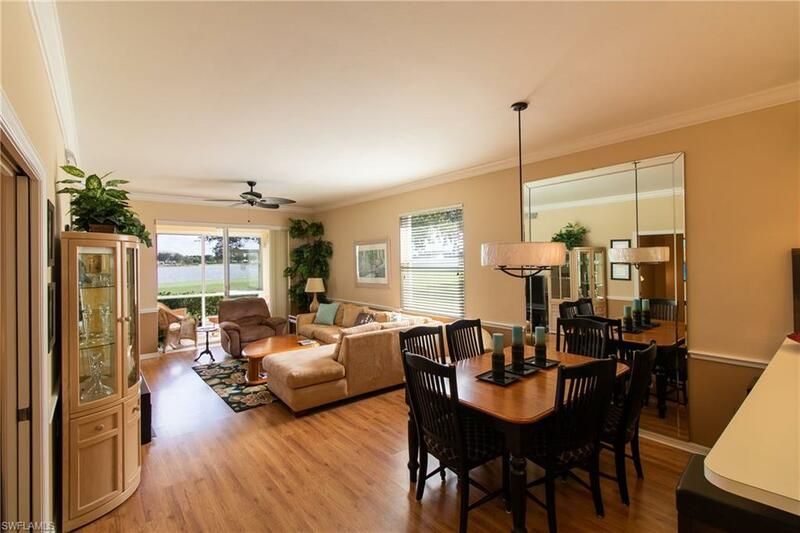 This pristine gated community also offers a Tennis center with 8 lighted Har-Tru tennis courts, tennis pros along with a state of the art fitness center, fitness director. A 28,000 sq ft. Award Winning Clubhouse with a large formal dining area a bar/grill room and lovely patio with a 38 acre lake. Listing courtesy of Lew Lipsit of Kerri Theisen Realty, Inc.